Still spinning after the weekend at Key West with the SKA event. 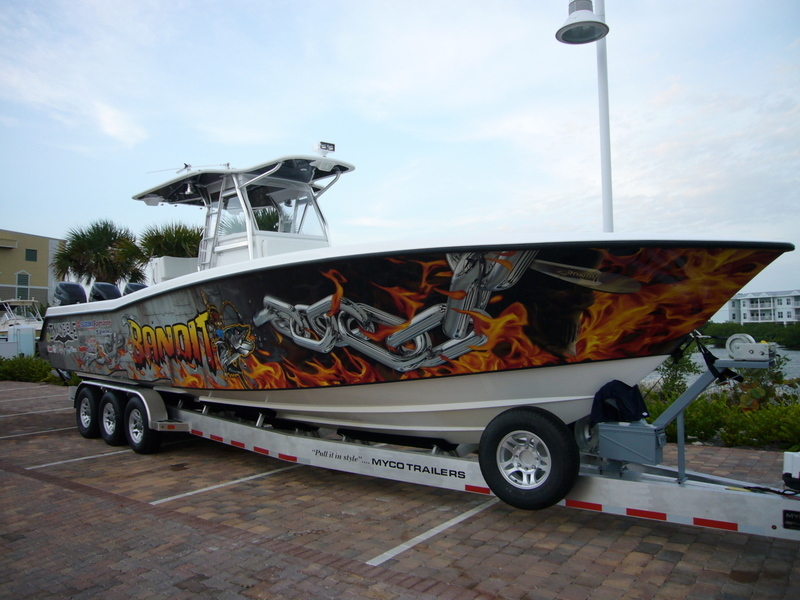 After talking to Russell Weston of Snowbee on how their boat did it occured to both of us just how good these guy are. To go out in these waters and target one type of predator and have such amazing success is unbelievable. A lot of you have been asking what happens to all the fish and there is a lot. Well after the scientists have done their work all the fish is processed and given yes given away. 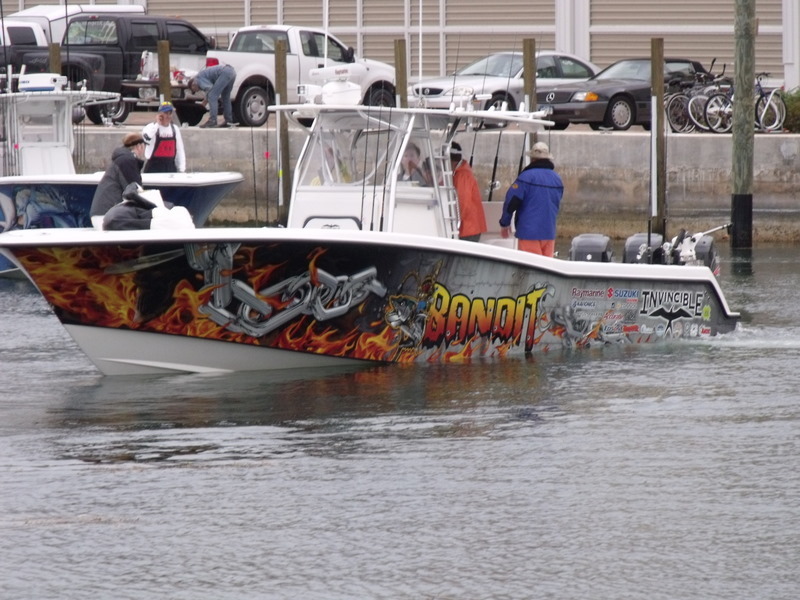 Back to Fish the Dream boat came out for bottom paint and gearbox service. One long and messy day rubbing down then strangely for us two wet days so no paint. I use VC offshore which i can burnish to a high gloss but at $180 a quart not to used with rain in the air. have well over 100 marks it good to find new ones as i don’t like to explore with paying customers. 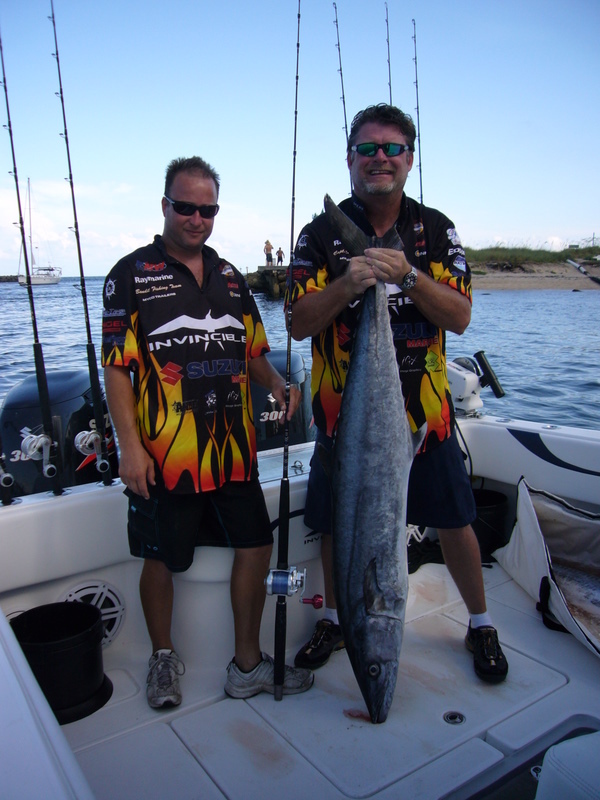 fishing buddy of Ron hitting the dock with a 67lb monster. 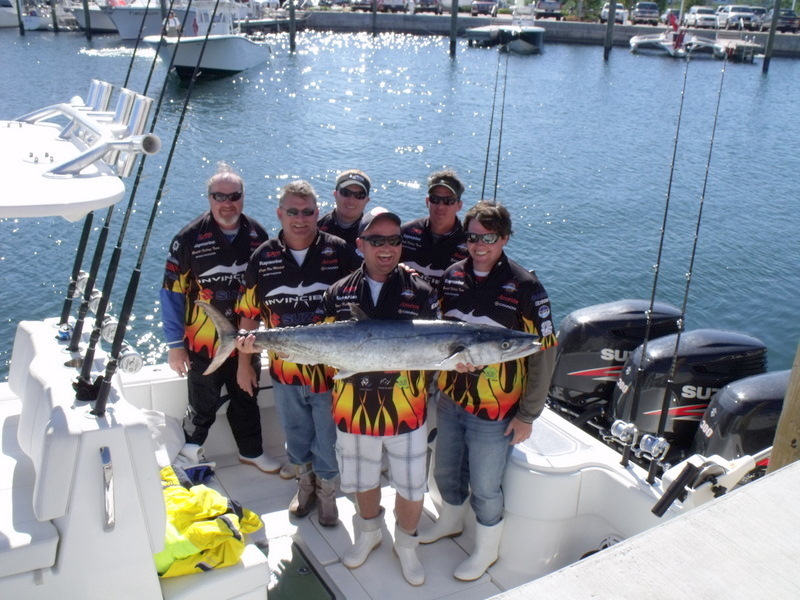 In running rounds at Key West this was a record, just look at the smiles of the crew. 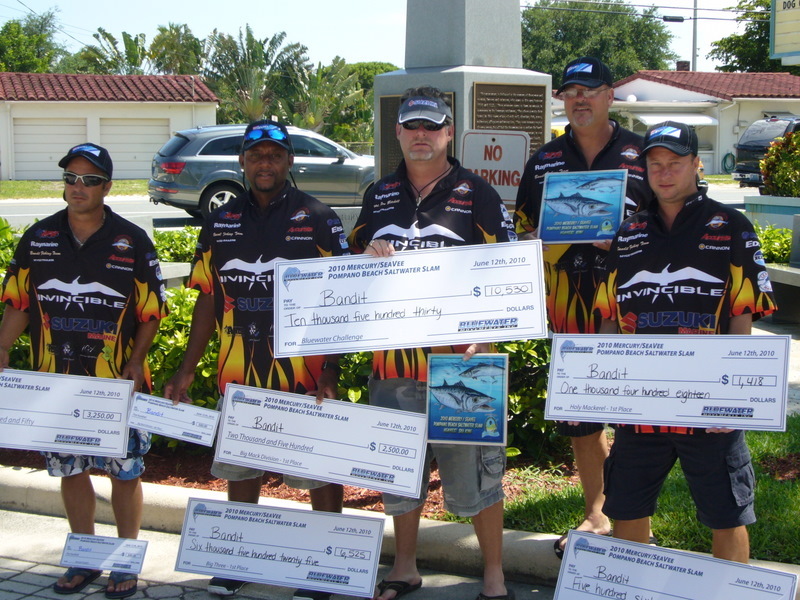 Big fish smiles and the $30k helps as well and it wasn’t with out incident. After hitting the bait long 100yd + run then nothing, the fish was coming back to the boat at full speed. The next 30 mins full on then the poor gaff man. I know its hard when i have to gaff a big fish but a event winning fish. Nice to see the lady anglers doing well they have their own event and a very good fish 46lb came to the scales. On our fishing holidays they always do well and it occured to me why. They do what i tell them not their own thing take note guys. Can not give enough praise to the SKA an amazing event. Just the right amount of everything, food drink stands and crowds. 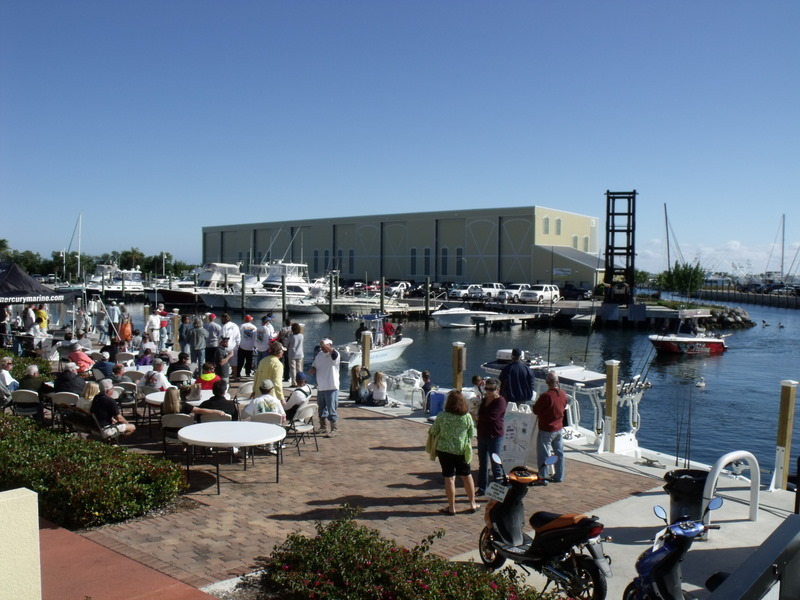 It seems only in America and the Florida Keys the general public get involed in somthing like this. 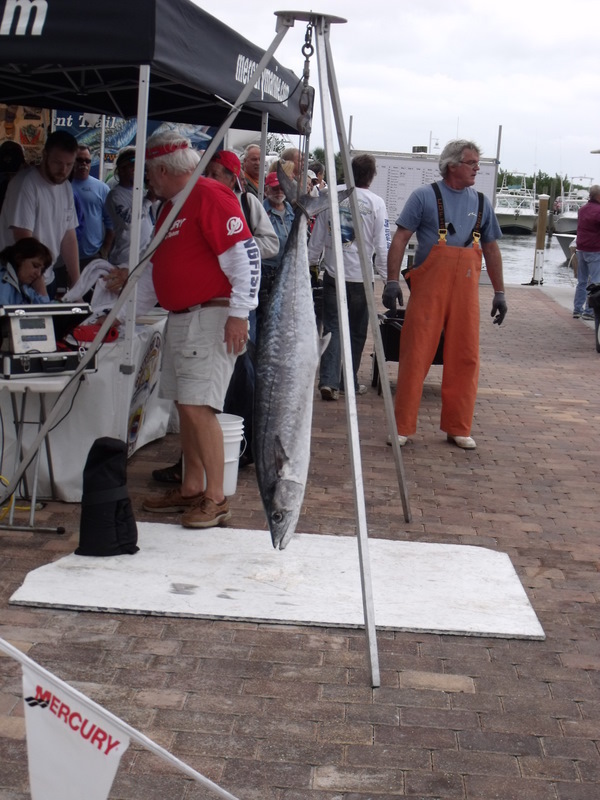 Spent a lot of time talking to the public about king fish wahoo and fishing the Keys. Also nice to see the scientists there all the big fish were aged and internal organs taken. Asked how old the big 67lb might be and the guys said maybe 25years + still nice to see this all going on. Wow if there on thing the Americans do right its the big event and this was amazing. 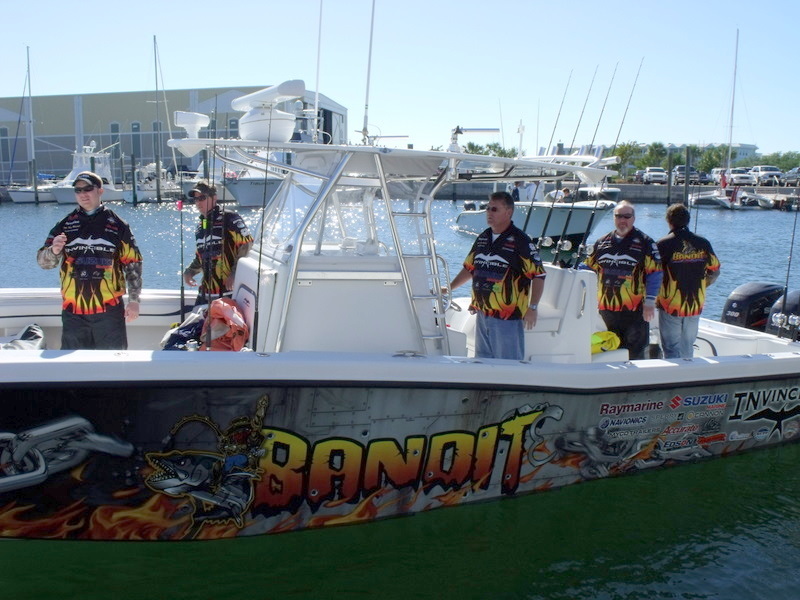 Big boats big horsepower and big fish helped but the rest of the event was so good. This is a biggest fish event and with over $30k to the winner a lot to fish for. 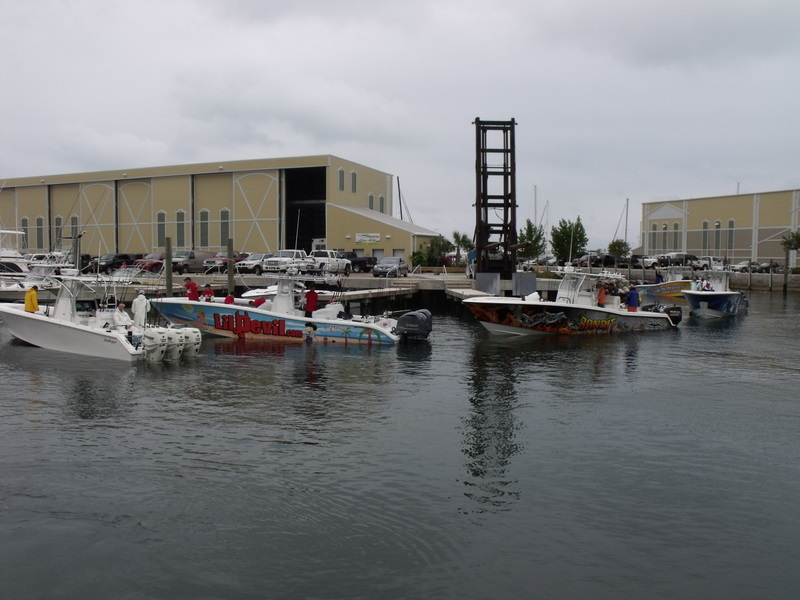 Nearly 70 boats left early Saturday there is a Le Mans type start at 7am and all boats must be back in at the dock at 4pm. I arrived early to soak in the event and get a good spot at the weigh in. The public come and by the end it was very busy we all watched a boat come in at 2.30 he had a big fish and wanted to be first on the scales. Ounces can make a big difference of thousandsof dollars teams even plug the gaff hole and have special cool bags for the fish. Well he did have a big fish 54lb and it stayed on the top off the leader board all day. Lots of fish in the 40s and you needed a good 40 to get on the leader-board. Not such a good start for the Snowbee boat despite going out nearly 90 miles. 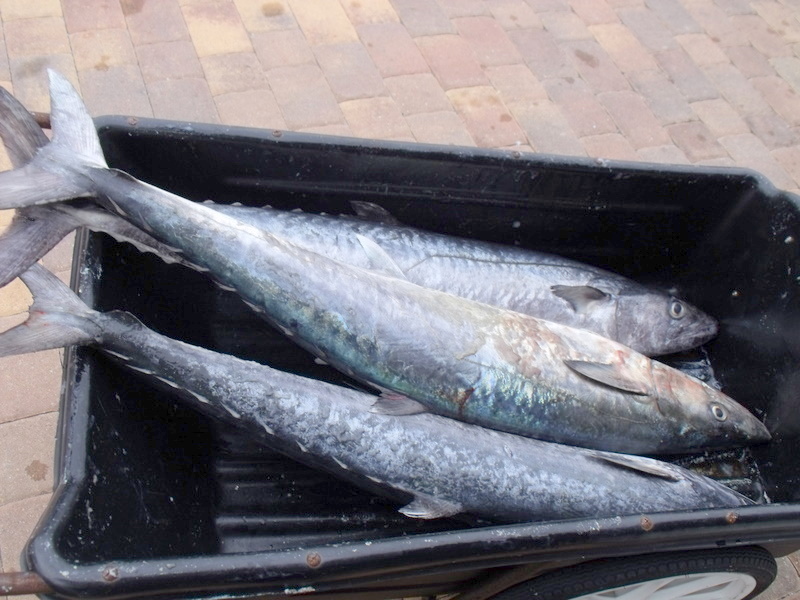 Lost two very big fish, but as Capt Ron said that’s fishing tomorrows an other day. He still loves the Deep Blue rods and the Snowbee new pliers have been stole by another team who will not give them back, recommendation or what. Back to day two see the day 2 weigh in and those boats just blows me away. 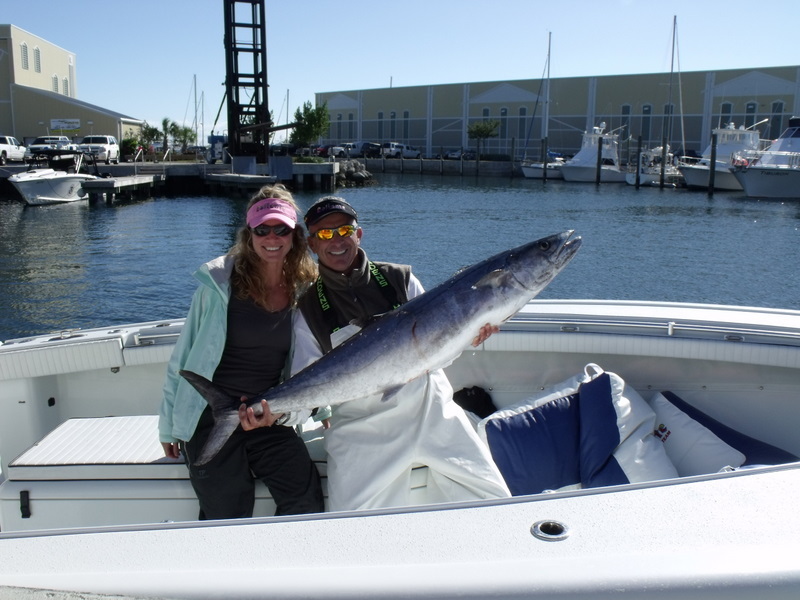 As i have said before the Florida Keys have good stocks of big Kings so if you want to try you luck give me a ring or email. Sorry i only have two motors but it has not stopped us catching so very 40+ Kings. Whilst my main job is providing amazing fishing holidays in the Florida Keys in the last two years i have had a little diversion. On linking up with Snowbee UK who now sponsor our boat i asked them if they would like any help with US sales of their stunning range of Deep Blue boat rods. Based on the standard UK rod Snowbee now have four US style rods two standard and two Kingfish specials. 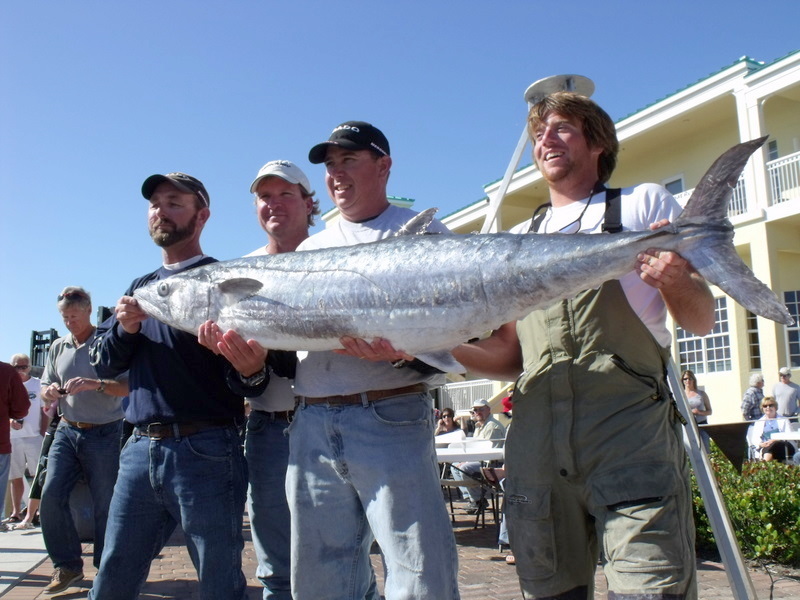 The kingfish is a very special over here and even has its own tournament trail. 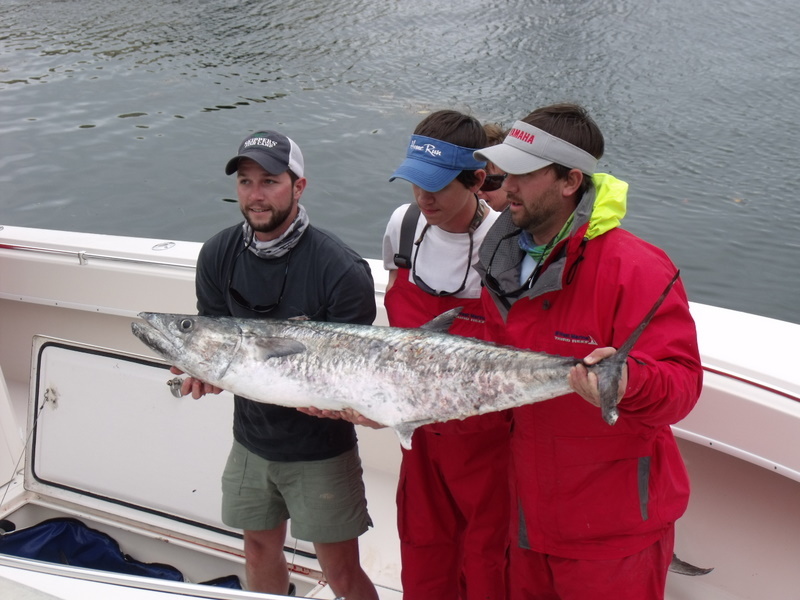 With the SKA [ southern kingfish association ] fishing rounds all year in the southern states. As a fighting fish very little comes close to the first run of a 50lb + king. We have been lucky at Fish the Dream and had quite a few big kings, the take on a kite bait is awesome. I was lucky to link up Snowbee with top SKA professional Capt Ron Mitchell and his team Bandit [ yes they make enough to do it full time ]. 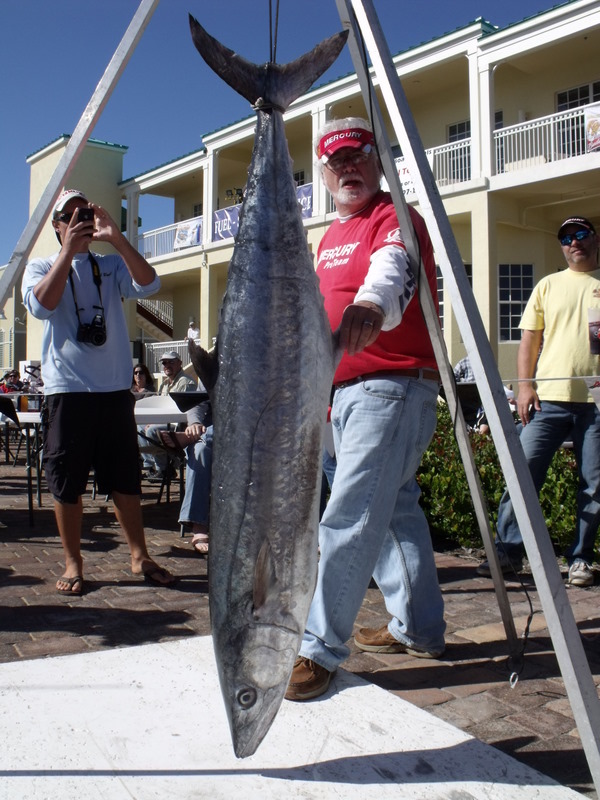 Under his guidence the Kingfish Special rod was born and after wining the Pompano round of the tour with a 53lb fish and prize money to nearly $30 k Ron was asked if he wanted any changes. His reply “no just get me 10 more ASP”. Firstly a late Happy New Year to everyone lets hope its a good one for all. Sorry about the delay since last post been a bit crazy with the new website and getting back to the US. I will now be doing my own blogs so please stay with me English not my strong point. Two massive thanks, one to my brother Nigel who sett up Fish the Dream .com and did all my blogs etc, secondly to John Grindle who has sett up Fish the Dream .co.uk Poor John had to deal with a Luddite who was always changing his mind [ ME ] sorry John. But well done top job and its now up to me and my guests and I will try to blog more often. Last trip last year was newcomers Gavin Smart and friends. 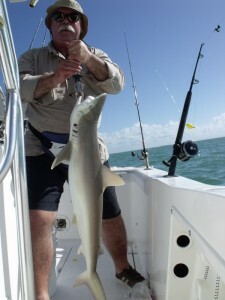 Weather was not the kindest but the advantage of The Florida Keys we still had fantastic fishing. All week in the bay but on day one shark to 200lb and loads of smaller fish none stop action. As they all came from Scotland nice to see fly rod action, fishing at its purest. 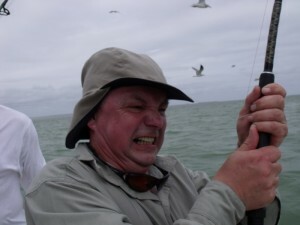 With some bruised knuckles and burnt palms but if you catch a shark on fly its going to pull. Not many photos as my camera died but a nice one of Big Jim and a reef shark, pound for pound as hard fighting as they come. An other one of what we do best at Fish the Dream the pain of a big fish, as I say if you put a big bait down it wont be small. Booking fast a few places left this year and booking a lot of 2012. So don’t just dream come and Fish the Dream.